Alpine UT School Board (c) 2018. All rights reserved. This list of school board president role and responsibilities was presented by former Board President John Burton and Superintendent Sam Jarman of the Alpine School District at a workshop organized by the Utah School Boards Association. It was prepared with input from the board, especially former board member Debbie Taylor. Jurassic Parliament is grateful for the opportunity to share this example with school board members and staff. Refer to your own district policies and guidelines for the specifics of your situation. Sign all warrants ordered by the board, to be drawn upon the business administrator for school money. Represent the will of the board to the superintendent. Represent the united voice of the board to the district, media, community. Prepare agendas with the vice president and the superintendent. Speak on behalf of the board at administrator conferences, new teacher orientation, new administrator luncheons, training, foundation meetings, etc. Attend legislative luncheons and other meetings with city officials. Represent the board at other meetings when requested by the superintendent. Be present at meetings or events that need board representation when no other board member can attend. Ensure, protect, and facilitate board processes for decision-making. Protect and nurture the collaborative governance model. Preside at all meetings of the board to facilitate board processes and procedures. Conduct meetings of the board—study sessions, board meetings, closed sessions, and other meetings sponsored by the board, unless delegated otherwise. Facilitate board members’ issues, concerns, etc. Ensure every board member has an opportunity to share their thoughts. With assistance of the vice president, appoint board members to staff committees, through board discussion. Be reserved (board president) in expressing his/her opinion until all board members have spoken—must listen, facilitate discussion or deliberation, and maintain order. Build a relationship of trust and collaboration with the superintendent. Follow Robert’s Rules of Order to insure a fair process. Facilitate the evaluation, compensation, and reappointment process for the business administrator and superintendent. Manage the process of filling a vacancy on the board, if necessary, according to policy. Help each board member learn how to be an effective board member and feel valued. Help build trust between board members. Help build trust with the superintendent and board. Address inappropriate conduct of board members. Orient new board members with the superintendent. Ensure the board’s commitment to the district’s mission, vision, values and goals through review, understanding and when necessary, refinement or revision. Plan professional development activities including in-service, state and national associations, board trainings, site-visits, etc., with assistance of the vice president and other board members as needed. The board works with the superintendent and business administrator as a team. If a board member hears of issues from patrons or staff, take them directly to the superintendent. Do not take them to staff members. There should be no surprises in public meetings for the superintendent, board president, fellow board members, or staff. What you say reflects on the whole board and district—be prudent. Be prepared for and attend your meetings. Ask questions rather than make demands—no single board member has authority over the staff or superintendent. Encourage and facilitate patrons in resolving issues at the most local level, working through the system to the superintendent if needed. Then get out of the way and let the staff handle it. A board member that continually interferes inhibits a good resolution to the problem and undermines trust. Don’t ever talk negatively to patrons about staff or personnel. Stay focused on an issue and the process to get it resolved. Board members have no authority to resolve issues by themselves and are the court of last appeal as a full board. If a single board member gets too involved in the issue and its resolution, they could be asked to recuse themselves if it came to the board for review. Check and read all board communications daily. Hold in confidence personal conversations with the superintendent, fellow board members, staff and other school personnel. Never promise to vote a certain way on an upcoming issue. Never make a promise of employment to anyone. Never promise to have an employee dismissed. Never promise parents a specific result or circumstance for their child at their school. Never promise vendors a contract. Board members should be careful with their titles on social network sites, that they do not represent their posts as the position of their district unless it is an official statement from the district or board. Board members are no longer private citizens. When they speak or write, they are viewed as a board member of the board of education, and likely as representing the board. Board members have to be more discreet and prudent in their public expressions. If they choose to attend a public meeting, they should be there to listen, not to make comments. There is a danger of litigation for the district, and a personal liability for the board member, if closed session information is disclosed outside of the meeting. Board members must be especially careful about what they say about personnel. Closed session and personnel matters are confidential. The board president usually conducts study session, board meeting, closed session and board training, and presides at all meetings of the board of education. He/she has the responsibility for keeping order, ensuring board member opportunities for input and discussion, maintaining a respectful process, and moving the agenda along. When serving on a community board or district committee as a representative of the board of education, a board member needs to represent the position of the whole board rather than his/her own. How do individual board members get items on a board agenda? They communicate with the board president and superintendent. Board leadership (president and vice president in conversation with the superintendent) has the discretion to determine the appropriate timing for an agenda item request. Once the agenda is set, it should be followed. © Alpine School District Utah, 2019. All rights reserved. Wow, this is like a 2 or 3 day workshop summarized here. Jay, I agree! So glad you like it! I don’t see the Washington State Open Public Meetings Act training addresses. There may well be surprises in a Board meeting from Board members, and the OPMA expects that. The Board are elected individuals, not an elected GROUP THINK cohort. Dear reader, we concur completely that the open meeting requirements are very important. Since this is written for Utah schools, it does not discuss requirements in the State of Washington. 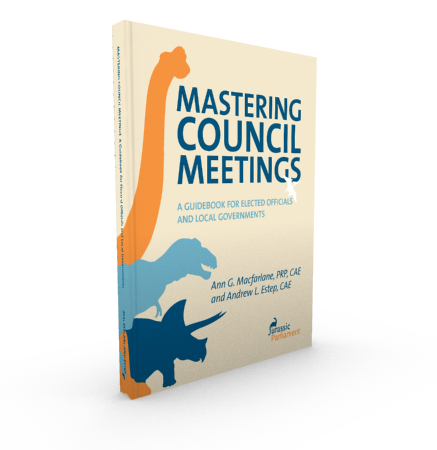 We publish it as an example that can help illuminate board chair and member duties. It is not intended to be comprehensive or definitive. With regard to surprises, it is a matter of course that board members will and should speak their minds at the meeting. The independent judgment of the members of the board is a critical requirement for democratic decision-making. Board members with questions or concerns are encouraged to confer with staff and research the matter in advance of the meeting, when time permits.